ZANU-PF secretary for legal affairs Emmerson Mnangagwa has urged Zimbabweans to jealously guard their national heritage in the face of moves by ex-Rhodesians to subvert the country by proxy. 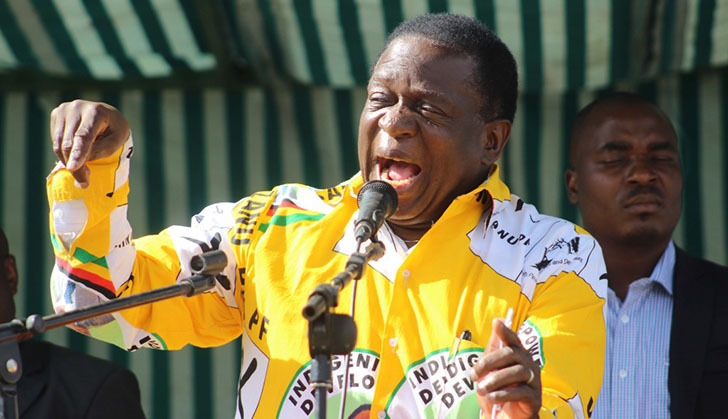 Mnangagwa, who is the senior Zanu-PF cadre in the Midlands Province said this as he addressed 10 000 revolutionary party supporters at a rally to drum up support for Zanu-PF National Assembly candidate Justice Mayor Wadyajena at Mutora business centre in Gokwe Nembudziya on Saturday. “Now that it has dawned on us that the likes of Morgan Tsvangirai have got a penchant for ex-Rhodesians, patriotic citizens must join the war which is currently obtaining to safeguard our heritage, “he said. “We must enjoy the comfort zone of the fruits of our heritage”. Mnangagwa said the first step towards political emancipation when the country attained independence was to expropriate land from the few minority whites who owned vast tracts of land for redistribution to the landless black majority. He said this did not augur well with the Britons who then set on a mission to reverse the monumental black gains by looking for puppets among black Zimbabweans to Zanu-PF. “That is how the MDC was formed by various groups like the Westminster foundation and others,” he said. Mnangagwa said the Britons had continued their onslaught on national sovereignty. “It was their aspersion that Wednesday’s election was going to be riddled with violence, so as to discredit it and find reason for their continued meddling on the country’s internal political processes. They (The Britons) have been shamed, hence I urge you to maintain the peace which has been the hallmark of Zanu-PF rule,” he said to wild applause. Mnangagwa urged Zimbabweans to continue defending the revolution. “At this stage of the revolution, we will continue to defend our land through peaceful means,” he said. “That can only be achieved by voting overwhelmingly for Zanu-PF”. Turning to a number of youths in the province who have been nominated to stand on the party’s tickets in various elections, he said they were the future leaders of the revolutionary party, and should embolden their stance to ensure that the legacy of the liberation struggle is preserved. Addressing the same gathering, aspiring Gokwe/Nembudziya Zanu-PF National Assembly candidate Justice Mayor Wadyajena said they had shut out the MDCs from the province as they were clueless on dealing with developmental matters. “We have already rolled out a contingent plan to develop this region and several developmental projects are already running,” he said.